When Molar Alan and his older brother, Aaron, fill out their Christmas wish lists front and back, the Santa at the mall informs the boys they won't be getting anything they asked for. Instead, he says, they will receive everything they never wanted. This isn't your garden-variety Santa, he's Dr. Chris Ringle, a pediatric oncologist, and he enlists the brothers as Santa's elves at the children's ward for the holidays. Each boy is charged with a very special assignment. Aaron will befriend Madhu, a fast-talking boy on an organ transplant list who, though not Christian, has an insatiable curiosity and wants to learn all about the holiday. Madhu is determined to be a wise man in the hospital pageant, despite the objections to his interpretation of the role. Molar's task is considerably harder, as he attempts to help a lonely little girl named Katrina. Katrina's surgery has left her scarred, and she has shut herself away from everyone. But it is through her that the true spirit of Christmas will touch the lives of all those around her in a way none of them would have foreseen. 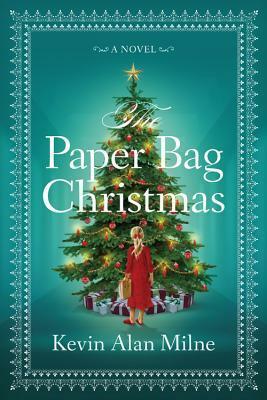 "The Paper Bag" is one of the best Christmas books I have read this Christmas season. It is the perfect book to grab and blanket, while holding a cup of hot chocolate in front of the fireplace as the snow is falling by your Christmas tree. I have to be super careful not to spoil this book because it was so good and I don't want to give a lot away. This book is one that will teach you the true meaning of Christmas, especially through terminal illness. It is a book that shows the real meaning of friendship and the gift of hope. While it's a short novel, it is a tear jerker, so grab the tissue box. I would love to see this book turned into a film! I highly recommend it! I give this book a raving review of 5/5 stars! Read this book and you won't be disappointed. In fact, order yourself a copy and friend for Christmas! They will thank YOU! Kevin Milne was born in 1973 and grew up in Sherwood, Oregon, a quiet country town south of Portland. He earned a diploma from Sherwood High school in 1991, in a graduating class of fewer than one hundred students. In college, after studying such varied fields as film, journalism, communications, pre-dentistry, pre-law, and German, Milne eventually earned a Bachelor of Science degree in psychology from Brigham Young University. One of the few things he didn’t study as an undergrad was business, which, ironically, is what he chose to pursue in graduate school, earning an MBA at Penn State University in 2000. 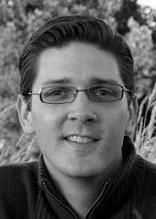 Today, Kevin is a business professional by day, an author by night, and a husband and father around the clock. He and his wife, Rebecca, were married in Washington DC in 1995. They have five children.